Nitrate—the oxidized form of dissolved nitrogen— is the main source of nitrogen for plants. It occurs naturally in soil and dissipates when the soil is extensively farmed. Thus, nitrogen fertilizers are applied to replenish the soil. 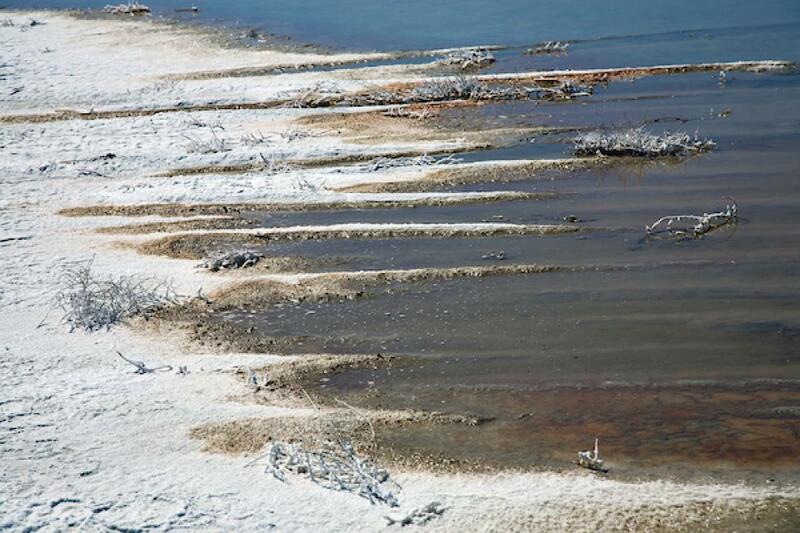 However, these nitrates can be toxic, especially when they enter the food chain via groundwater and surface water. Low-income Californians can get help with their phone bills, their natural gas bills and their electric bills. But there’s only limited help available when it comes to water bills. That could change if the recommendations of a new report are implemented into law. Drafted by the State Water Resources Control Board, the report outlines the possible components of a program to assist low-income households facing rising water bills. 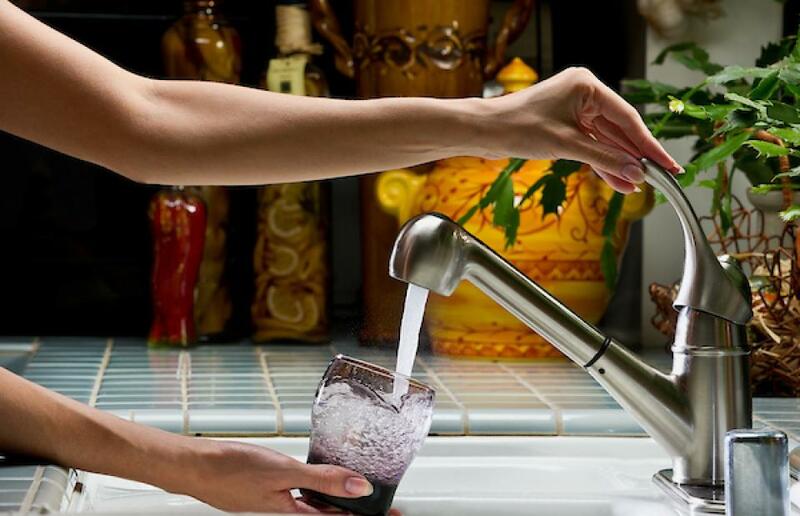 One in seven Americans drink from private wells, according to the U.S. Geological Survey. Nitrate concentrations rose significantly in 21% of regions where USGS researchers tested groundwater from 2002 through 2012, compared with the 13 prior years. … “The worst-kept secret is how vulnerable private wells are to agricultural runoff,” says David Cwiertny, director of the University of Iowa’s Center for Health Effects of Environmental Contamination. The budget specifically calls out funding for Safe and Affordable Drinking Water. 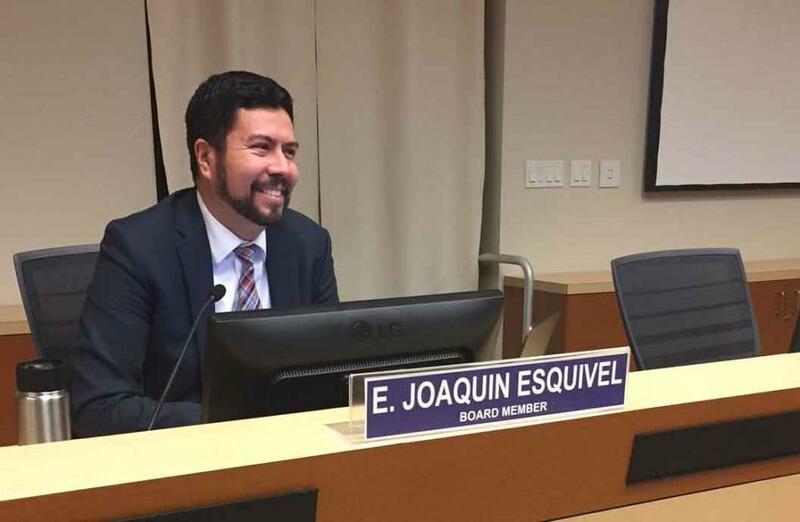 It discusses the need to find a stable funding source for long-term operation and maintenance of drinking water systems in disadvantaged communities, stating that existing loan and grant programs are limited to capital improvements. Tackling what promises to be a controversial issue, Gov. Gavin Newsom proposed a tax on drinking water Thursday to help disadvantaged communities clean up contaminated water systems. Newsom’s plan for a “safe and affordable drinking water fund,” included in the new governor’s first budget proposal, attempts to revive an idea that died in the Legislature last year. 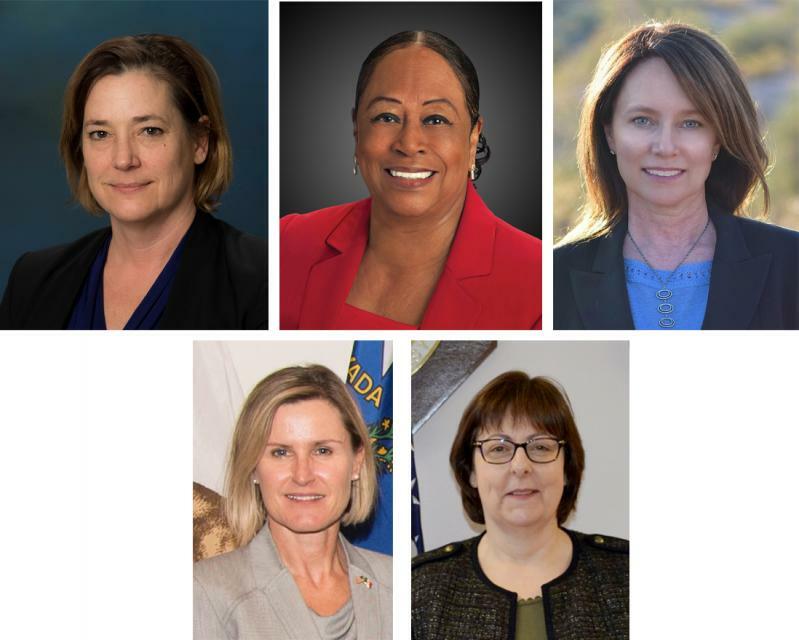 The growing leadership of women in water. The Colorado River’s persistent drought and efforts to sign off on a plan to avert worse shortfalls of water from the river. And in California’s Central Valley, promising solutions to vexing water resource challenges. These were among the topics that Western Water news explored in 2018. At the Groundwater Resources Association’s Western Groundwater Congress, a panel of experts discussed emerging issues as agencies work to develop their plans to comply with the Sustainable Groundwater Management Act, which became law in California in 2014. The depletion of California’s aquifers by overpumping of groundwater has led to growing interest in “managed aquifer recharge,” which replenishes depleted aquifers using available surface waters, such as high flows in rivers, runoff from winter storms, or recycled waste water. At the same time, there is growing concern about contamination of groundwater supplies with nitrate from fertilizers, septic tanks, and other sources. The U.S. drinking water standard for nitrate was set decades ago at a level to prevent infant deaths. But recent research suggests that the standard, decided in 1991, is out of date. Scientists are accumulating evidence that the U.S. Environmental Protection Agency’s nitrate limit may need to be lowered because it does not account for potential long-term health damage, including the risk of cancer, that harms people into their adult years. More than a decade in the making, an ambitious plan to deal with the vexing problem of salt and nitrates in the soils that seep into key groundwater basins of the Central Valley is moving toward implementation, but its authors are not who you might expect. An unusual collaboration of agricultural interests, cities, water agencies and environmental justice advocates collaborated for years to find common ground to address a set of problems that have rendered family wells undrinkable and some soil virtually unusable for farming. More than a decade in the making, an ambitious plan to deal with the vexing problem of salt and nitrates in the soils that seep into key groundwater basins of the Central Valley is moving toward implementation. But its authors are not who you might expect. An unusual collaboration of agricultural interests, cities, water agencies and environmental justice advocates collaborated for years to find common ground to address a set of problems that have rendered family wells undrinkable and some soil virtually unusable for farming. When folks talk about “black gold” in California’s Central Valley, it’s usually a reference to oil – unless you’re in the dairy business. No state in the country produces more milk than California, thanks to its 1.7 million cows. Those cows also produce a lot of manure – 120 pounds per cow per day. 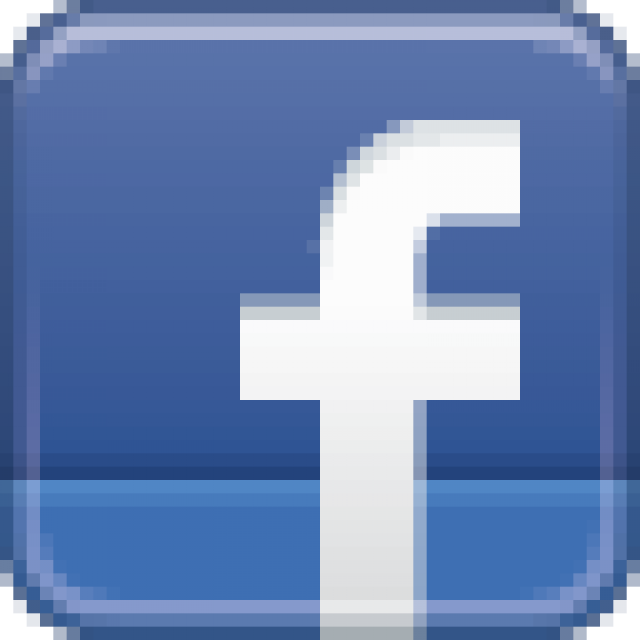 Porterville, California, a town of about 50,000 people, lies nestled at the foothills of the Sierra Nevada Mountains, near the gateways to Sequoia and Kings Canyon national parks. It’s an idyllic setting, but in the nearby rural communities of East Porterville, Poplar, Terra Bella and Ducor, many residents get their drinking water from private wells that are rarely tested for contaminants. Clean water advocates want state leaders to create a safe and affordable drinking water fund for hundreds of communities throughout California. For years, Rebecca Quintana had been a highly visible activist in the fight for safe drinking water, speaking regularly with reporters, rallying residents and helping to spark an unprecedented United Nations inspection in northern Tulare County. … Across a wide, rural swath of the San Joaquin Valley, people have long been unnerved about drinking the sporadically contaminated tap water. Federal inspections of cattle and hog feedlots, turkey houses, and other animal feeding operations dropped for a fourth consecutive year, according to U.S. Environmental Protection Agency data. The number of fines and orders to change management practices for those same facilities fell for a fifth consecutive year. Businesses are releasing more toxic chemicals to land, air or water in San Joaquin County, mirroring a national trend as the economy improves and production picks up. Many Californians don’t realize that when they turn on the faucet, the water that flows out could come from a source close to home or one hundreds of miles away. Most people take their water for granted; not thinking about the elaborate systems and testing that go into delivering clean, plentiful water to households throughout the state. Where drinking water comes from, how it’s treated, and what people can do to protect its quality are highlighted in this 2007 PBS documentary narrated by actress Wendie Malick. 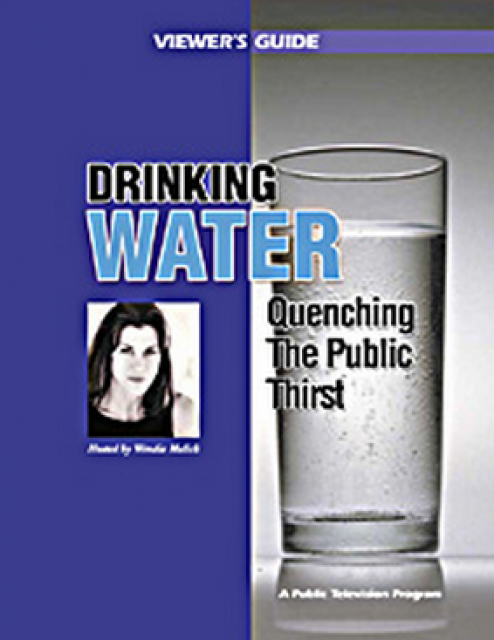 A 30-minute version of the 2007 PBS documentary Drinking Water: Quenching the Public Thirst. 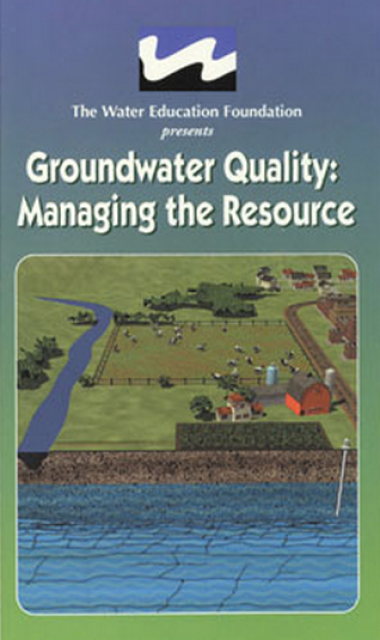 This DVD is ideal for showing at community forums and speaking engagements to help the public understand the complex issues surrounding the elaborate systems and testing that go into delivering clean, plentiful water to households throughout the state. 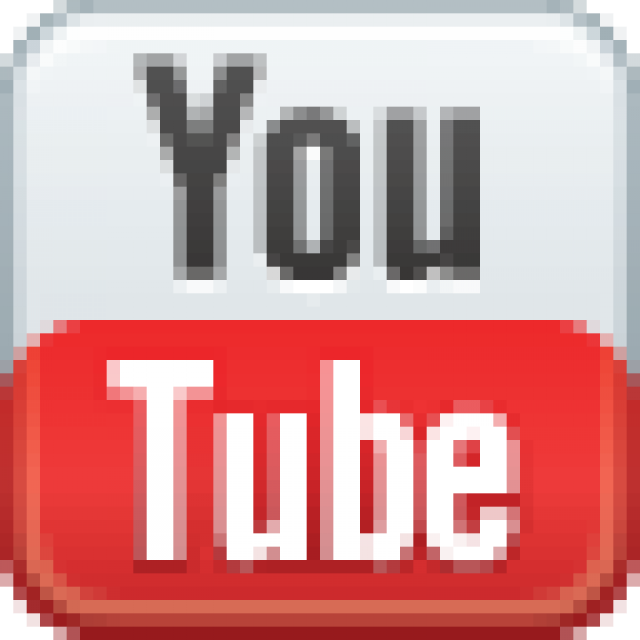 This 15-minute video explains in an easy-to-understand manner the importance of groundwater, defines technical terms, describes sources of groundwater contamination and outlines steps communities can take to protect underground aquifers. Includes extensive computer graphics that illustrate these groundwater concepts. The short running times makes it ideal for presentations and community group meetings. Available on VHS and DVD. 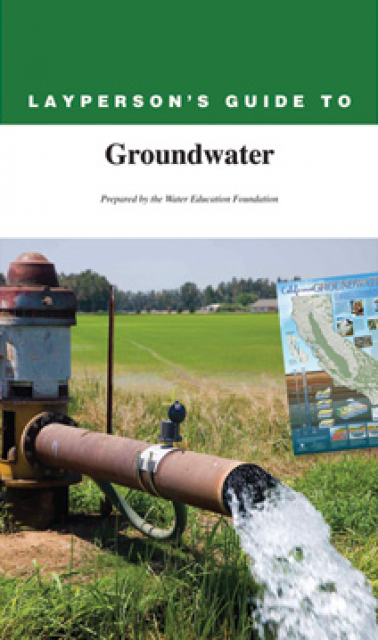 The 28-page Layperson’s Guide to Groundwater is an in-depth, easy-to-understand publication that provides background and perspective on groundwater. The guide explains what groundwater is – not an underground network of rivers and lakes! 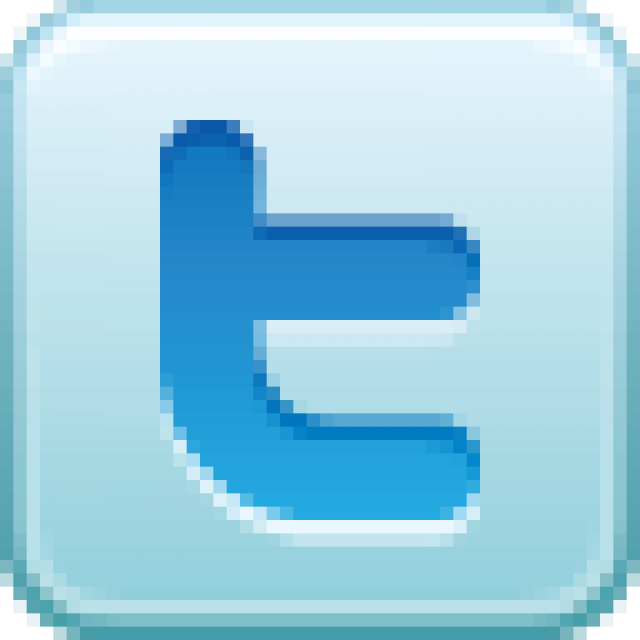 – and the history of its use in California. Nitrate—the oxidized form of dissolved nitrogen— is the main source of nitrogen for plants. It occurs naturally in soil and dissipates when the soil is extensively farmed. Thus, nirtrogen fertilizers are applied to replenish the soil. However, these nitrates can be toxic, especially when they enter the food chain via groundwater and surface water. In California, the State Water Resources Control Board lists nitrate as one of California’s most challenging and growing water problems. 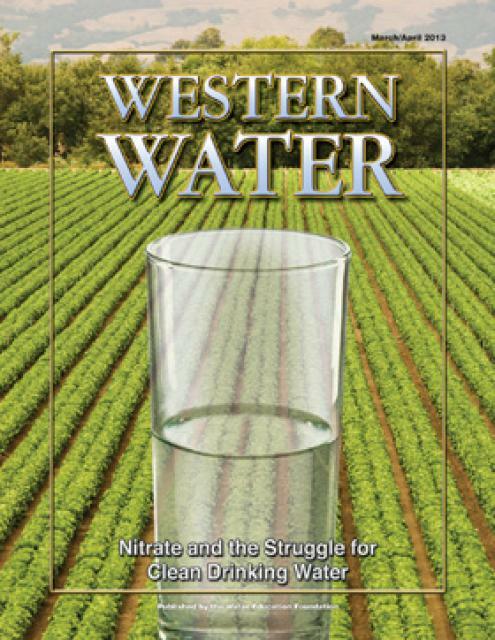 This printed issue of Western Water discusses the problems of nitrate-contaminated water in small disadvantaged communities and possible solutions. California boasts some of the finest quality drinking water on the planet. Every day, people turn on their tap and receive clean, safe water with nary a thought. But the water people take for granted isn’t so reliable for residents of small water systems and many disadvantaged communities (DACs) in rural agricultural areas. 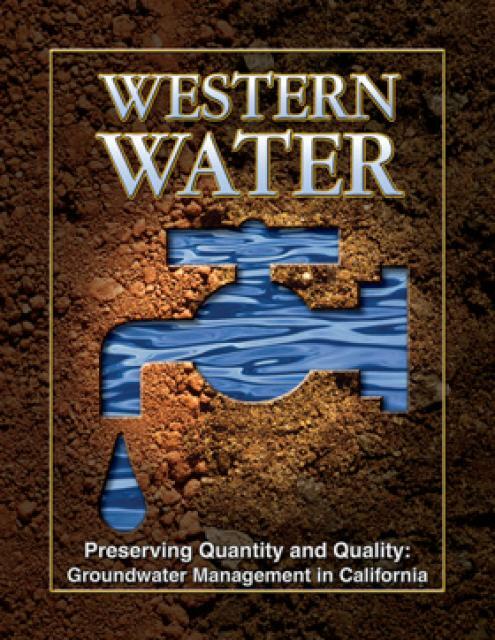 This printed issue of Western Water examines groundwater management and the extent to which stakeholders believe more efforts are needed to preserve and restore the resource.